Are you looking to play the game like a pro rather than retail, that is, go long and short the market? 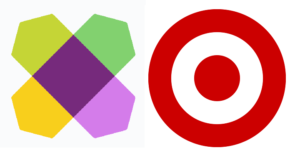 If so, shares of retailers Wayfair (NYSE:W) and Target (NYSE:TGT) are in position for bulls to watch for the W stock pop and shop for the TGT stock drop. Let me explain. It’s been a crazy ride the past few months and I’m not just talking about Wayfair stock or Target stock, either. From a fast and nausea-inducing correction to a historic and euphoric V-shaped rally; it’s been thrilling, to say the least. Still, for investors working both sides of the aisle and shopping for both price drops and stock pops; they’ve stood to have done more than reasonably well. But today’s market may be a bit different. And in the retail sector it may be a more appropriate time to establish a long position in W stock and go short TGT following recent earnings reports and reactions supporting bulls and bears off and on the price chart, as I’ll explain. In more than one way, Wayfair stock is like Amazon.com (NASDAQ:AMZN). It’s a throwback to a time when the tech giant was consistently unprofitable but sported huge growth potential to generate future earnings. Wayfair’s fourth-quarter report in late February supports that argument easily enough. By the numbers, W stock beat the Street by 9 cents by delivering an adjusted loss of $1.19 versus estimates calling for a loss of $1.28. At the same time sales of $2 billion narrowly beat forecasts of $1.97 billion while showing top-line growth of 40% from the year-ago period. Wayfair also pleased investors looking to the future as the site’s number of active buyers — 15.2 million — was 38% higher than year-ago figures and repeat customers accounted for 66.4% of total Q4 orders. W stock also has a history of being vilified and harangued by bearish short-sellers currently positioned with 38% of Wayfair’s float and disbelieving value-oriented investors. That, too, has often plagued Amazon since its Dot.bomb days and into more recent times. So maybe, just maybe, Wayfair stock is in good company? The price chart agrees. The weekly view of Wayfair stock shows a name that’s trending higher, albeit not without its share of volatility. Sound familiar? Again, AMZN comes to mind. Most recently the twists and turns on the W price chart shaped a deeper, corrective base during the broader market’s own dizzying and brief move into bear territory by late December. Now, following Wayfair’s well-received earnings reaction which jettisoned shares by 28% while signaling a pattern breakout to fresh all-time-highs, W stock has consolidated into a high handle pattern over the last couple weeks. I see the current price action as a nice platform for even higher prices in Wayfair as it strips away the overbought condition from earnings. As much, and given W’s precariously positioned short interest, a breakout above $172.70 — and 1% above the March 1 pattern high of $170.99 — looks like an attractive momentum-style entry. Despite others’ forecasts and triumphant headline declarations, Target stock may have a bulls-eye on its back, both off and on the price chart after last week’s earnings. For its fourth-quarter the big box retailer delivered a marginal penny beat with earnings of $1.53 per share surprising Wall Street’s $1.52 estimate. For their part, investors bid TGT stock up a bit more than 4.50% following the release. But should Target bulls be popping open the champagne? More than a few analysts celebrating the results think so. One source of relief is the decent-looking digital comps growth of 31% as the retailer continues to try and beef up its online presence. And Target did boost its full-year profit guidance above Street views. So, I can appreciate that, but TGT stock looks much-less impressive elsewhere. Overall same-store sales of 5.3% versus estimates of 5% is a bit of yawn. Also, total revenue of $22.98 billion compared to forecasts of $23.05 billion was a miss not be taken lightly. And, let’s be honest, are Target’s in-line earnings guidance for Q1 really a cause for celebration? Net, net I’m seeing Target stock’s results at best, equal parts ‘shabby and chic’ off and on the price chart as well. Looking at the daily chart of TGT stock and I’d be remiss to not admit shares are currently trending higher following it’s ‘in good company’ corrective low set in late December. But TGT is struggling on a relative strength basis. Shares of Target are also definitely in a tug-of-war with bears in a key band of price resistance. The area from about $74.25 – $77.75 holds oodles of technical barriers from Fibonacci, the 200-day simple moving average and key price levels such as prior earnings gaps and previous all-time-highs. Currently and with Target stock wedged squarely in the middle of resistance, I’d simply look to short shares as a hedge of a W stock breakout combine with a stop above $77.75. Failing that, if other TGT investors begin to return their stock merchandise and shares fall beneath earnings support of $74.12; shopping for a continued drop looks promising as well. Disclosure: Investment accounts under Christopher Tyler’s management do not currently own positions in any securities mentioned in this article. The information offered is based upon Christopher Tyler’s observations and strictly intended for educational purposes only; the use of which is the responsibility of the individual. For additional options-based strategies, related musings or to ask a question, you can find and follow Chris on Twitter @Options_CAT and StockTwits. Article printed from InvestorPlace Media, https://investorplace.com/2019/03/investors-should-shop-a-retail-pop-and-drop-with-wayfair-target-stock/.